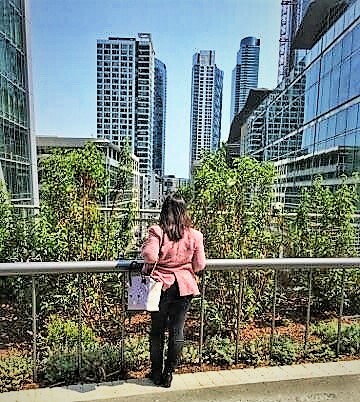 BFF and I spent a lovely afternoon at the newly opened and much-awaited Transbay Transit Center in San Francisco. We just had an amazing lunch at International Smoke for her belated birthday celebration. The walk to Transbay Center was serendipitous. We talked about checking it out but did not plan it for this Fridate. BFF pointed it out as we were exiting the restaurant. It was just a couple of blocks away! I will not attempt to recreate a journalistic description of this place. 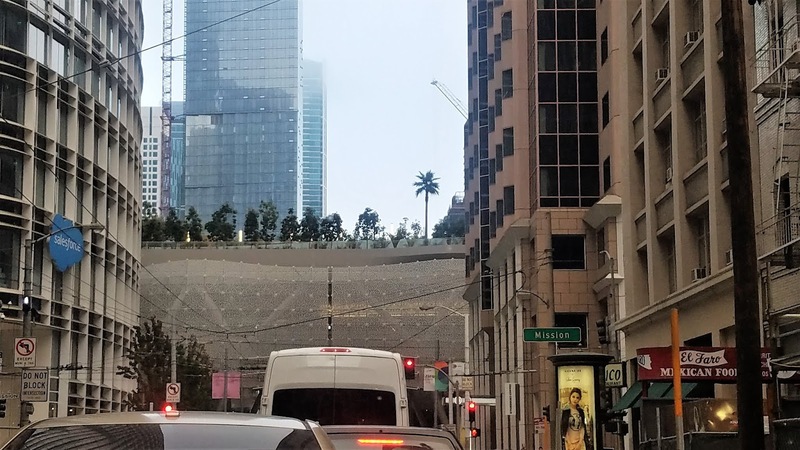 Everything you need to know about Transbay Transit Center can be found in this article complete with details and photos. I had The Jetsons moment when I behold TCC with my own eyes for the very first time. I was looking up and way above the streets was this giant "bowl" of trees that seem to be suspended in the air with the San Francisco buildings as a backdraft. 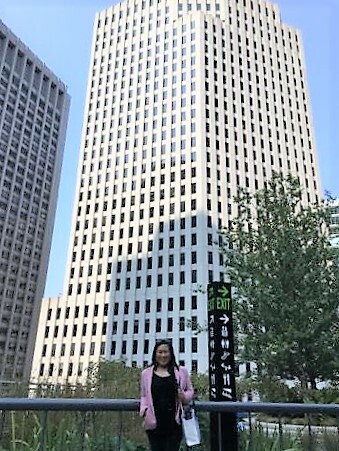 We took the elevators up and we were taken to an urban oasis in the midst of what is becoming as San Francisco's concrete jungle with really tall buildings that are springing up like mushrooms. TCC is a park that has so much to offer. It is a botanical garden. There are plenty of grassy areas. There is a hub to grab food, a cart with free books and one that contains arts and crafts. There is a stage and fountains.